The skippers and navigators are facing a tactical minefield in the South China Sea after moderating breezes left behind a horribly confused sea state on the third day of the second stage of Leg 4. Despite having thousands of miles of open water sailing ahead of them on the way to Auckland all six teams know that their exit from the South China Sea could prove decisive. Having pursued the most southerly route since leaving their home port, Mike Sanderson’s Team Sanya were today reaping the benefits of a progressive wind shift to the right. At 1300 UTC they had leapfrogged from fifth to third ahead of Ian Walker’s fourth placed Abu Dhabi Ocean Racing and Iker Martínez’s Team Telefónica in fifth. 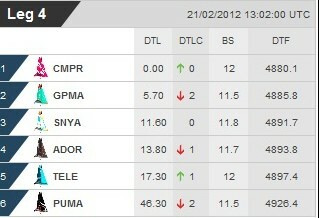 Ken Read’s PUMA Ocean racing powered by BERG remained in sixth more than 45 nm off the lead. At 1300 UTC, as the fleet tracked north east towards a northerly crossing of the Luzon Strait close to Taiwan, the new leg leaders Chris Nicholson’s CAMPER with Emirates Team New Zealand held an almost six nautical mile (nm) advantage over previous front runners, Groupama sailing team skippered by Franck Cammas. "We can see Groupama on the radar about 10 miles directly abeam of us,” said Nicholson today. “It’s snakes and ladders with them at the moment — for one hour they will gain and the next hour we will gain. CAMPER navigator Will Oxley confirmed the importance of the passage through the Luzon Strait between Taiwan and the Philippines: “There’s not a lot happening in terms of moves right now,” he said. "All the boats are high-tailing to the north east. Groupama skipper Franck Cammas said his team were happy to be in the top two at this stage having configured their boat for downwind rather than upwind sailing on Leg 4. 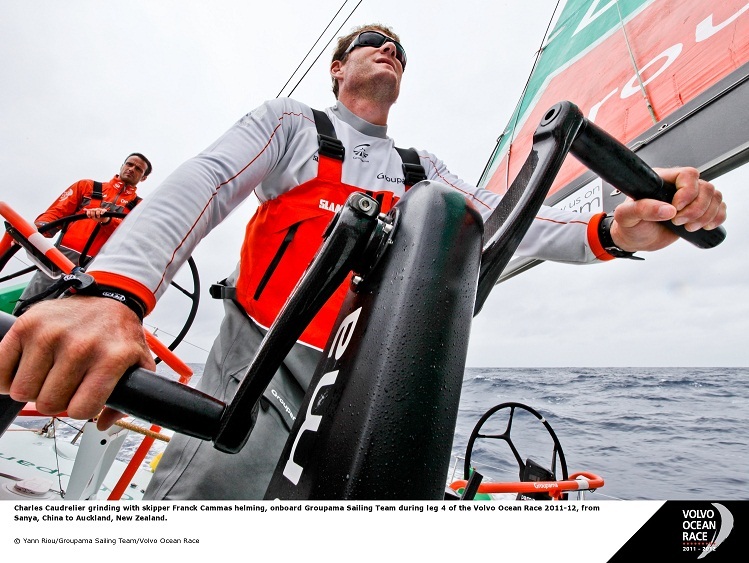 "We got some reaching after the start, a couple of hours above 20 knots in a rough sea state,” Cammas said. “Once again we were pretty quick, then we started sailing upwind and we aren’t the most confortable doing that. "But we are holding there. Because we didn’t prepare the boat for upwind on this leg we knew we would suffer for the first few days. "CAMPER created a split. They are 10 miles to windward and it looks like the favourable side at the moment. We are following them closely. 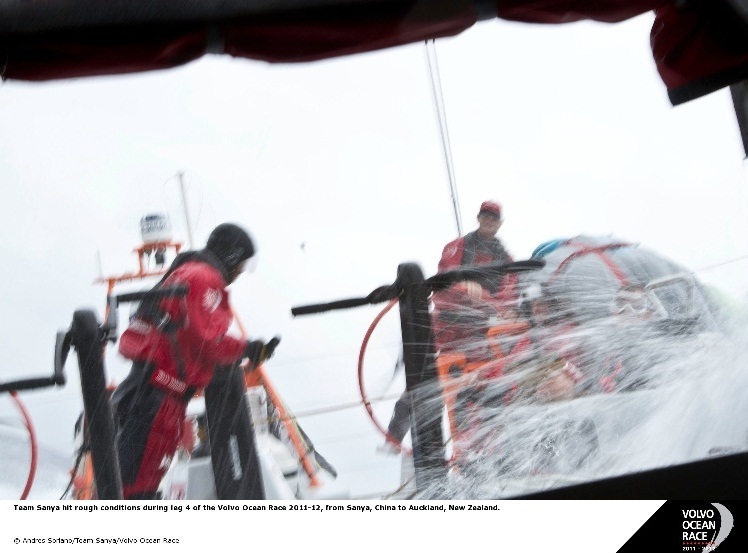 Media Crew Member (MCM) Amory Ross said life on board had been brutal for the PUMA crew, who had tacked as much as five times in a 40 minute period as they tried in vain to reconnect with the fleet. "These are full on ocean tacks, so everyone is a little beaten up right now,” Ross said. Having trailed the fleet since leaving last in the second stage staggered start Ross said PUMA were contemplating the radical option of sailing north around Taiwan — a detour of some 400 nm – to avoid windless conditions in the Strait of Luzon. "The problem is we just can’t seem to work out where we want to go just yet,” he said. “The weather systems are changing quickly right now and our previous route of passing between the southern tip of Taiwan and the northern islands of the Philippines is now looking like it is out of the playbook. Telefónica navigator Andrew Cape said the fifth placed Spanish team were happy with their northerly position in relation to the fleet which he hoped would enable them to stay in the strongest winds on the approach to Luzon. "Our position to the north is where we wanted to be,” Cape said. 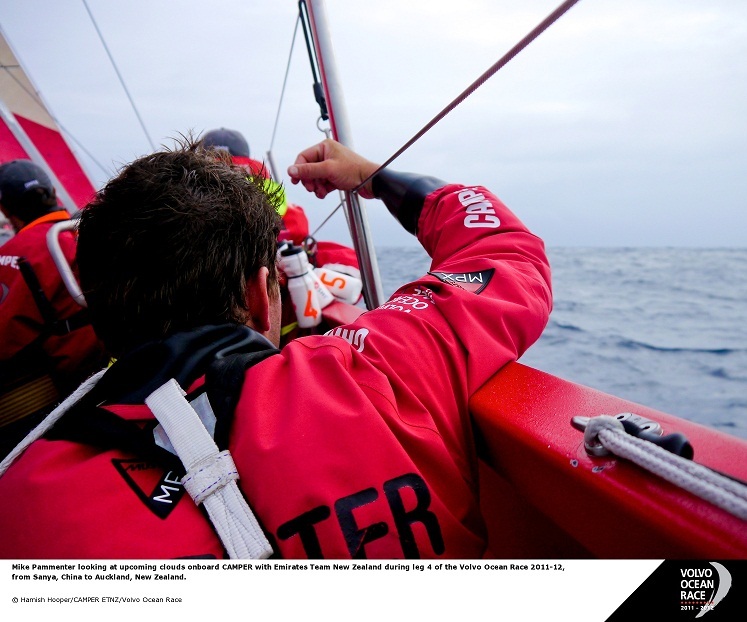 “There’s still a lot of miles to be done but we wanted to position ourselves to make sure we stayed in good breeze. On Abu Dhabi, skipper Ian Walker said the lumpy seas posed no real risk to the boats structurally but were making life difficult for the helmsmen particularly at overnight. "The wind has gone hard right, lifting us up into quite a big head sea,” Walker said. 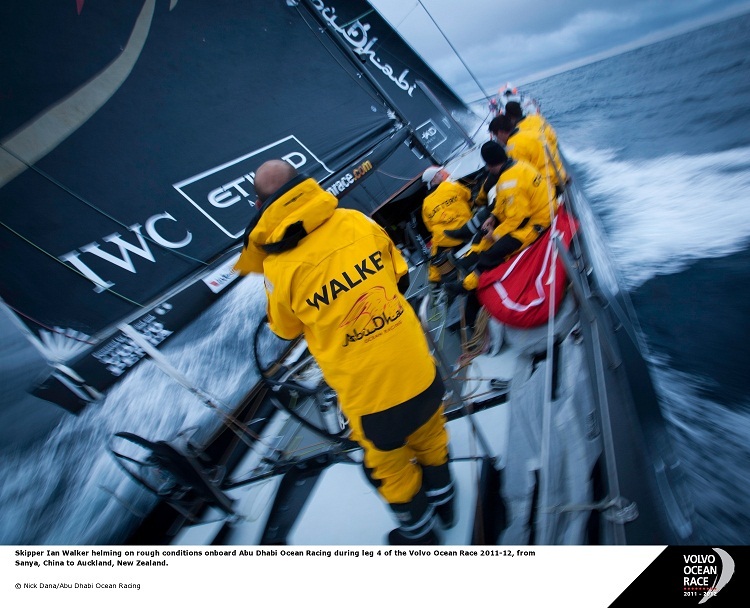 Despite performance improvements after tuning adjustments and a new mainsail for this leg, Walker confessed to being concerned over Azzam’s pace compared to the leaders, but said tactics rather than raw speed would be key over the next few days. "We seem to be going a bit better with our new mainsail and slightly different trim but still cannot quite match the pace of the leading three,” he said. "The weather models are all over the place right now and the exit strategy through the Luzon Straits is far from clear.